AWS, Azure, Rackspace, OpenStack, Google Cloud or bare metal infrastructure... we're flexible. Being the best means you have the best, so we can partner up with many of the worlds leading cloud providers to ensure you have the right infrastructure for your own specific requirements. Our team includes SysAdmins, DevOps and Network engineers with years of experience in both bare-metal and cloud based infrastructure. They also all know Joomla! inside and out. We have already invested much time and money in the research and development of stacks that can underpin the most demanding of Joomla! installations. We continue to test and refine our core technologies so that you can be up and running on the best platforms available faster and at a lower cost than you might expect. 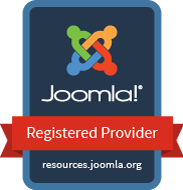 Keep up to date with all that is happening in the world of Joomla! We have the expertise you need.